Youtube on banning videos about firearms? YouTube one of the fastest growing social media platform is now getting tough on Youtube gun videos. YouTube updated it’s video guidelines on Monday. As per this new guidelines, it ban’s video showing how to assemble firearms or to install some accessories or high capacity magazine. The new guideline was firstly reported in Bloomberg, which is a Google owned-platform. Due to lax policies, it is under criticism regarding what the content user might post. A spokesperson from YouTube said that they make a routine check-up and updates for the guidelines of their policies across devices. YouTube has prohibited the sale or promotion of firearms for a long time. Some of the Youtube gun videos are allowed, the gun demonstration videos and all. They have notified the creators about this that they should not promote or do any kind of sale of the firearms. This is also applicable to the accessories as well as homemade silencers, Gatling triggers, ammunition etc. So as per the new rule, anyone who is trying to sell or is promoting any kind of shops which will sell guns will be banned on YouTube. This also includes the installation of illegal ammunition, homemade silencers. Also turning a normal gun into an automatic gun are also not allowed. 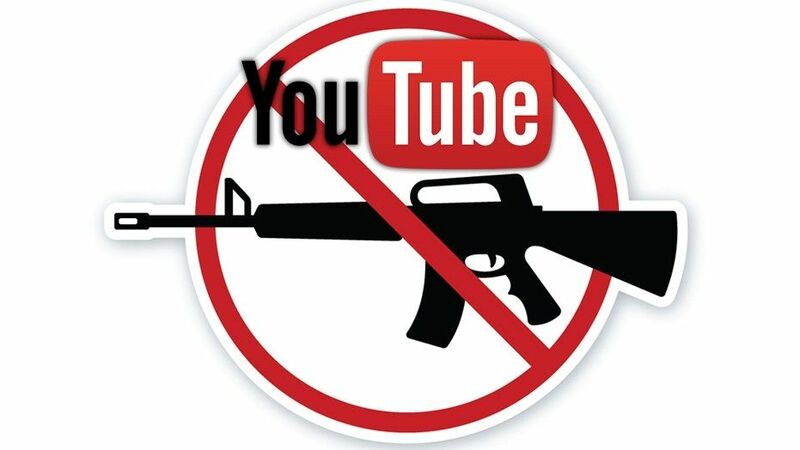 Youtube gun videos which won’t be banned are, which are of firearms demonstration and similar videos. For many years, YouTube has been banning the firearms sales and promotion on its platform since a long time. Some of the gun videos are prohibited! As YouTube is one of the fastest growing social media platforms, it has to take certain measures so that the youth community and people who are using this platform won’t be affected. Some of the YouTube fun videos should be banned as it creates an urge in the youth to try that thing out. It might lead to something bad which is harmful to that person as well as the society. Next articleDo you think your data on Facebook is really safe? Rollout of Windows 10 Creators Update expected to start April 11.